This package is destined for lovers of trekking and adventure. 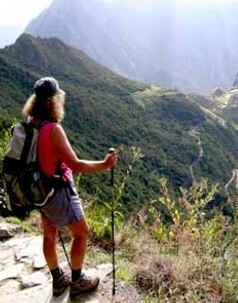 The trail, which will allow us to explore two jewels of the Inca civilization - Choquequirao and Machu Picchu - is about 62 miles long and it develops through Andean landscapes of stunning scenic beauty, mountains and tropical valleys. The tour includes a visit to the Archaeological site of Saywite. Briefing the night before the departure. Morning is spent investigating the seldom visited Pinchaunuyoc, a growing range of platforms topped by a small ceremonial site. Further down the mountain the trail leads us to the White River or Yuraqmayu (6152 feet). (ii) Board a bus to Santa Teresa Village and hydroelectric plant. 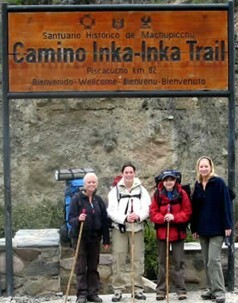 Option one requires a 6 hour* climb along a hidden Inca trail. 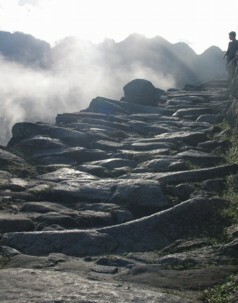 The path leads to Llactapata (“Machu Picchu’s Balcony at 8497 feet), where sunrise and sunset were observed at specific occasions (solstice and equinox). Early wakeup to catch the first bus and watch the surreal sunrise at the Incan Sanctuary. 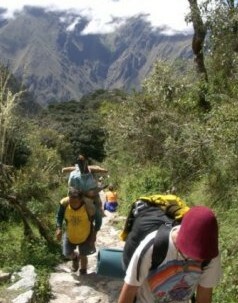 Climbing to the top of Wayna Picchu Mountain or to Intipunku ( the Sun Gate) is up to you. Back down at Machu Picchu Village a well deserved buffet lunch is enjoyed before the train back to Cusco. - Use boots during treks and sneakers during long walks. - Always taking an umbrella or rainwear. -T-shirt , short, long pants. (4 season tent, sleeping bag with personal hygienic sheets, mattress, kitchen tent, dining tent, toilet tent, dining tables and chairs, all kitchen and dining utensils, lighting equipment, etc. 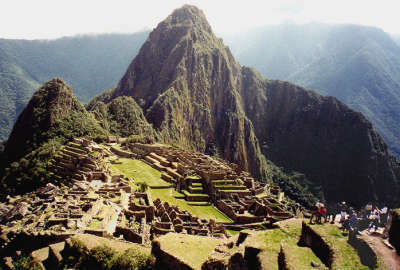 ); -first aid kit; all meals and beverages (9 lunches, 8 dinners, 8 breakfasts, snacks); -emergency saddled horse (1 for every 5 hikers); -horsemen and pack mules; -entrance tickets to the Saywite, Choquequirao and Machu Picchu; -bus round trip Machu Picchu village – Machu Picchu Sanctuary - Machu Picchu village; -train from Machu Picchu to Cusco. It is truly wild country out there. No tourist services are available. Proper preparation and skills are required and recommended. Bear in mind that a happy journey can become a survival nightmare for unexperienced/untrained/underprepared/unaccompained/irresponsible tourists. If you are in doubt, contact a respected adventure travel company. Cachora town: basic accommodation, small shops, transport service, muleteer associations offering load service (some may have camping gear for rent) telephone. Chiquisca: campsite; basic food and beverage; restrooms. Santa Rosa: campsite; beverage; restrooms. Maranpata: campsite; basic food and beverage; restrooms. 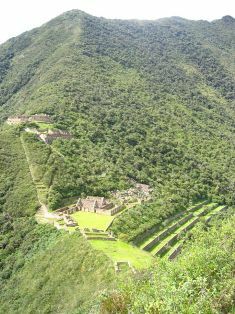 Choquequirao Campsite: cold showers, restrooms. Playa San Ignacio: campsite, restrooms. Hacienda San Ignacio: campsite; beverage; restrooms. Villa Los Loros Lodge: campsite, lodging, restaurant; private transport service for customers. Huanipaca town: basic accommodation, small shops, private and shared transport service, phone. Don’t leave valuables inside your tent when visiting the site. - Bring cash, no ATM’s. - Respect the environment carrying bags to collect and take away all generated waste. - Carry a little medical kit (anti-inflammatory cream, water purification tablets, hydrogen peroxide, gauze, bandages, analgesic, etc. ).